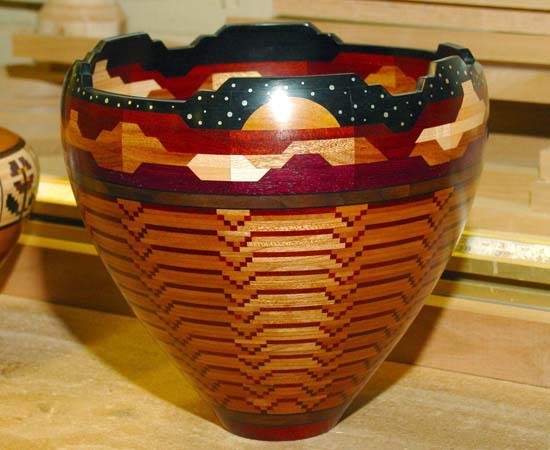 Linda Salter of San Carlos, California, is rapidly becoming quite well known for her segmented bowls of exceptional design and intricacy. 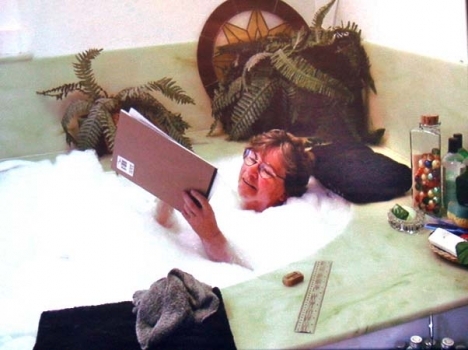 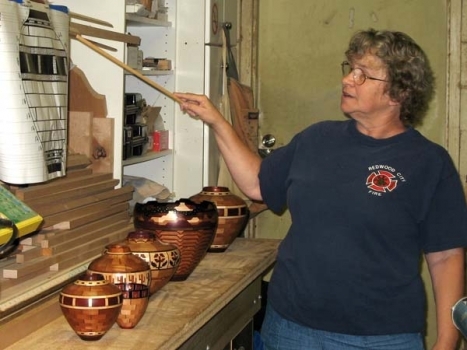 Linda began her work by helping her husband build their home. 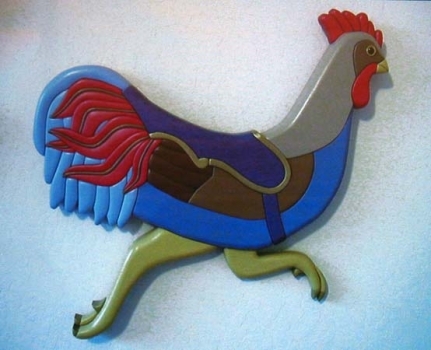 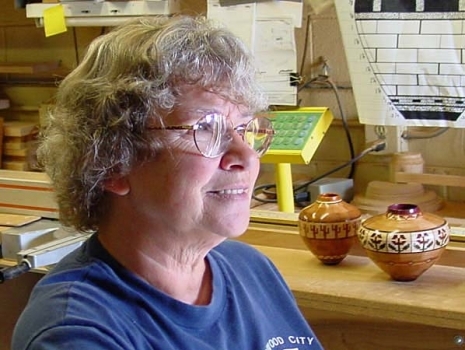 She then moved on as a wood carver making carousel animals, wooden puzzles, and miniatures. 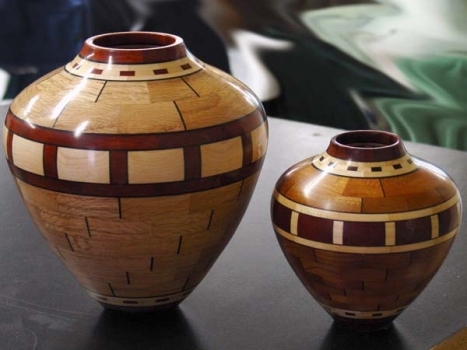 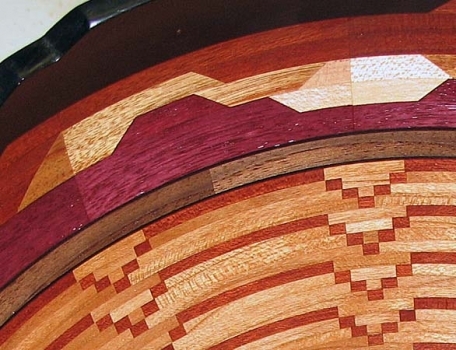 Her inspiration for segmented bowls came from Ray Allen at a symposium in Provo, Utah. 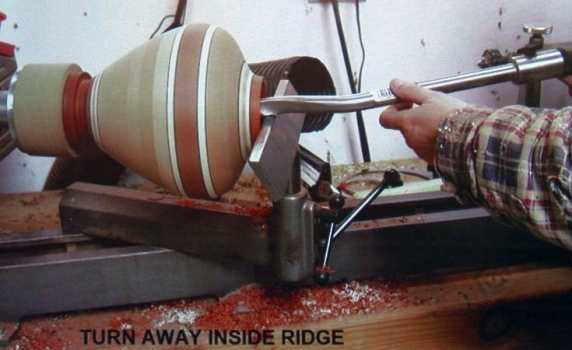 Linda provided our group at the demo with detailed instructions on the construction of a segmented bowl. We all participated in an exercise using her design process. 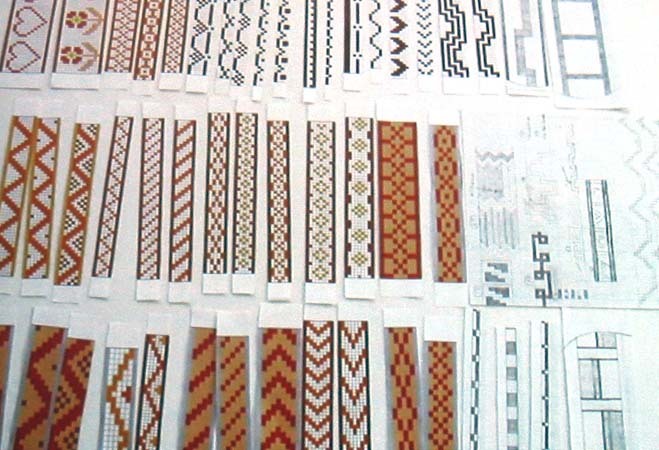 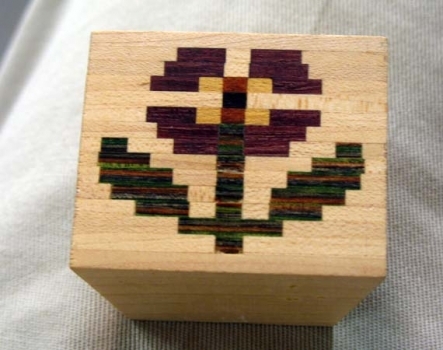 Linda uses pattern strips that she creates using the Microsoft Excel spreadsheet program on her computer. 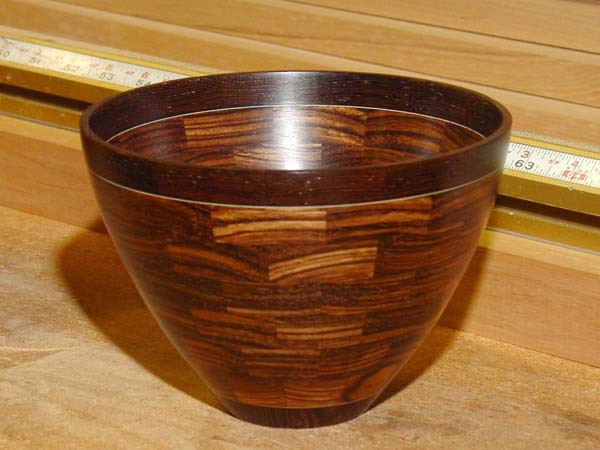 A template of the bowl silhouette is cut out and the framed shape used with the patterned strips. Full-scale designs are created on graph paper with shading and cross-hatching to indicate changes in color or wood. She went over the way to determine the number of segments needed for each layer of the bowl as well as the angles that each piece in the layer must have. 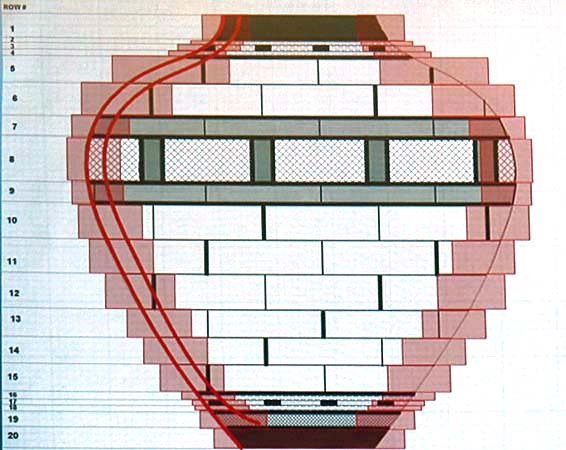 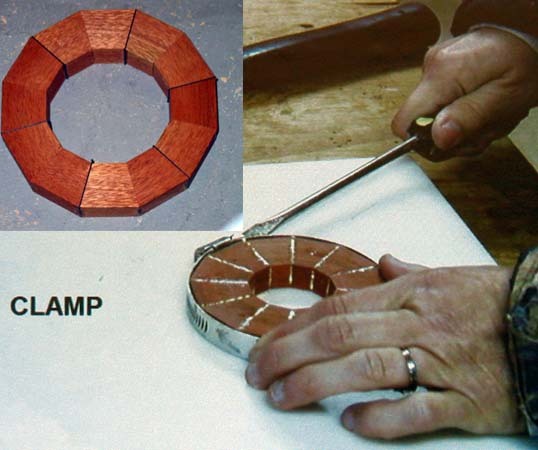 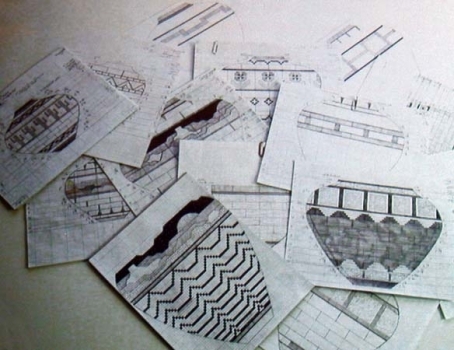 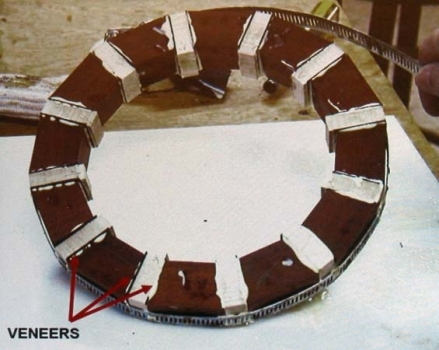 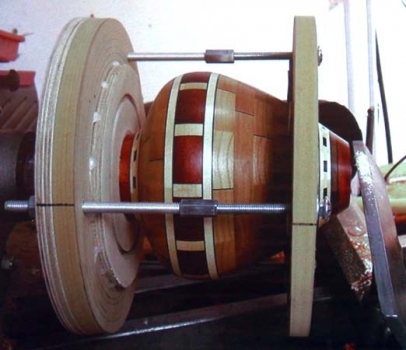 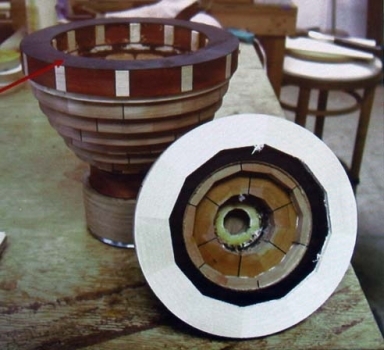 When we were finished with the design, we all had a schematic for making our own segmented bowl. 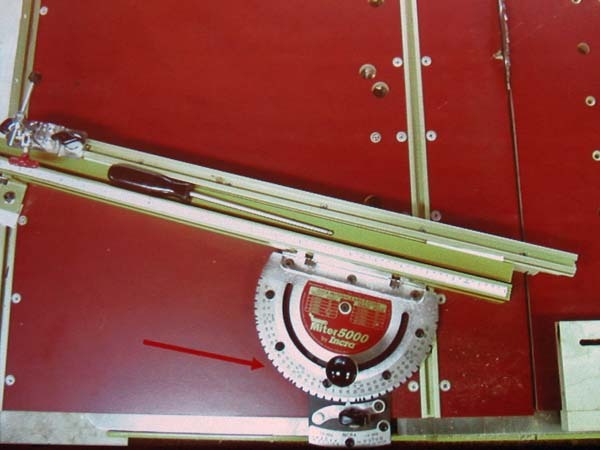 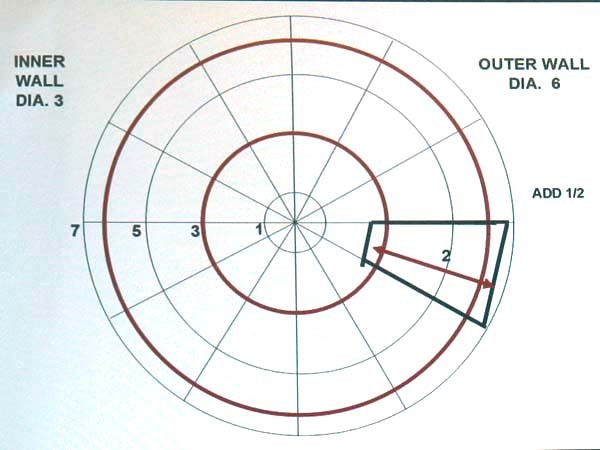 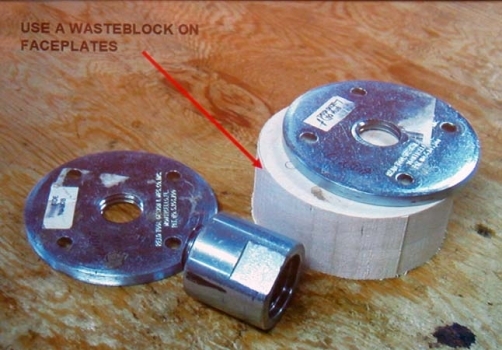 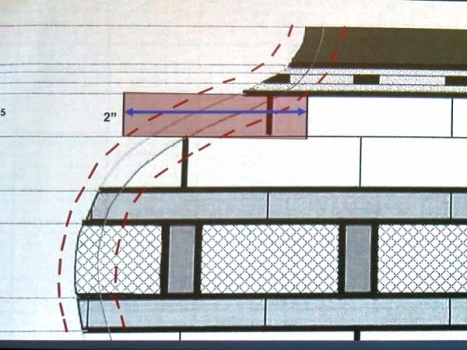 Wall thickness will be about ¼ inch at completion so an additional ¼ inch on the inside and outside was added for margin, resulting in a rough thickness of ¾ inch. 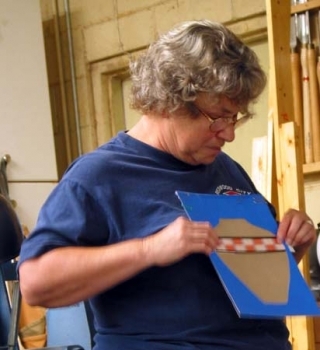 Linda emphasized accuracy in measurement and cuts. 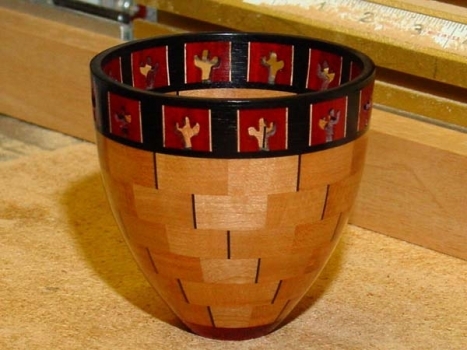 Segmented bowls are time consuming because there are so many pieces that must fit tightly. 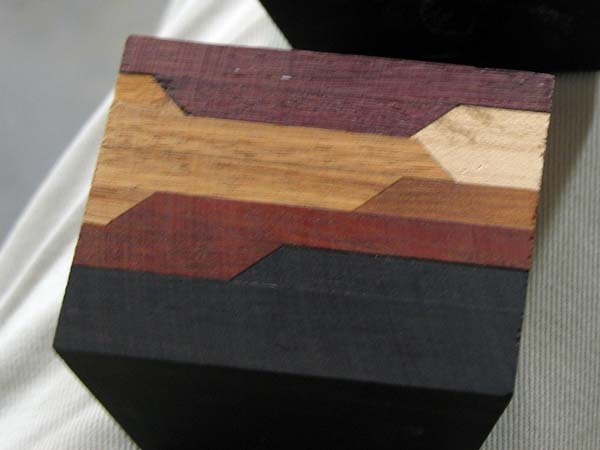 Linda adds veneers for definition of shapes and as part of the pattern. 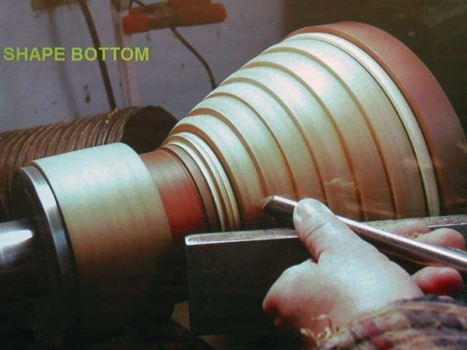 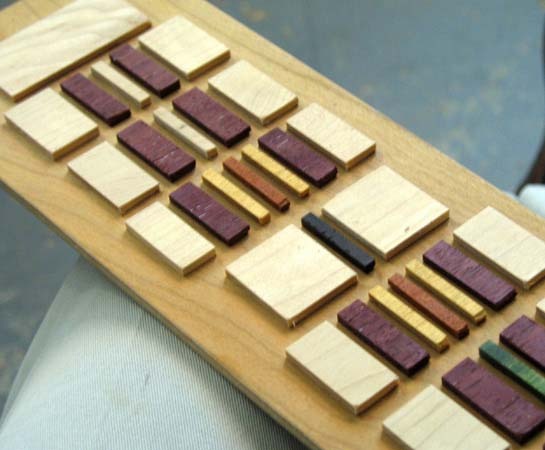 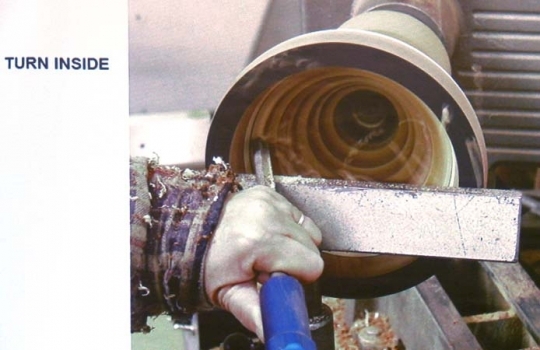 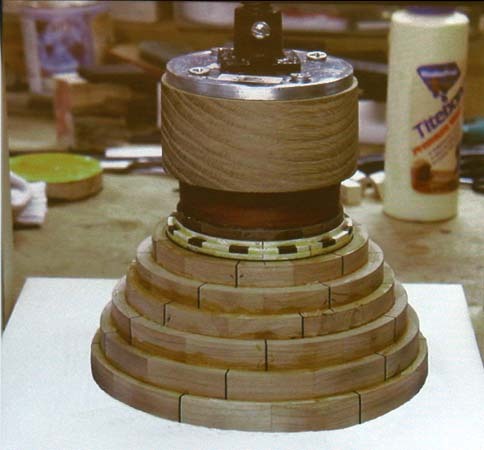 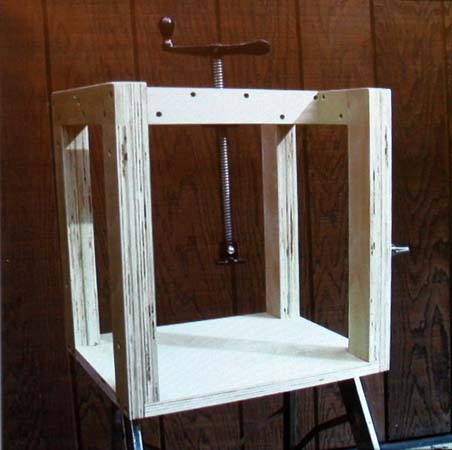 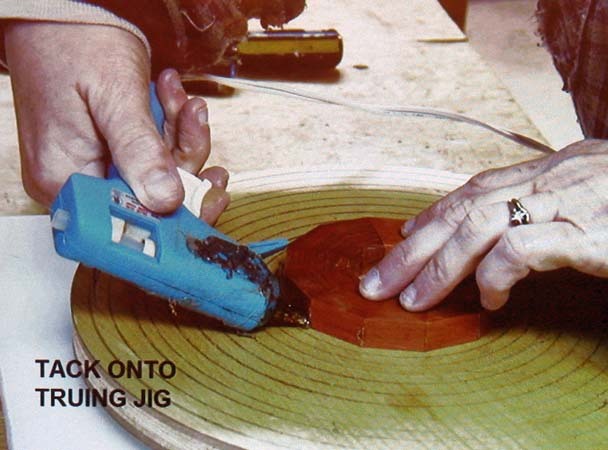 Once a layer is completed, it is trued on the lathe and glued to its neighboring layer using a press. Linda’s bowls are constructed first as a single ring, and then the rings are added one layer at a time to create the bottom and top portions. 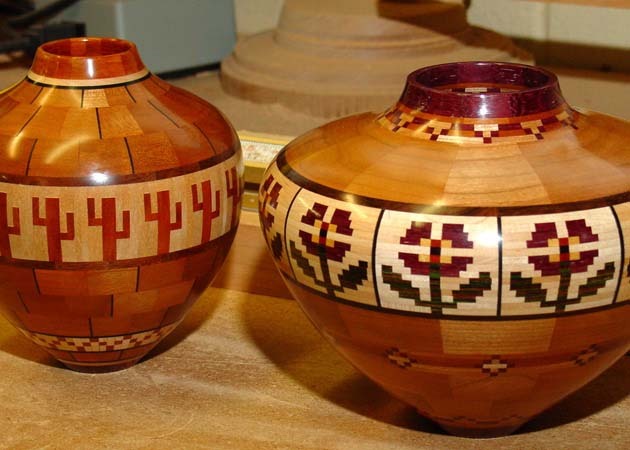 These portions are individually turned, sanded and finished like open bowls before being joined together at their rims with glue. Finally, that last joint is turned smooth, sanded and finished. 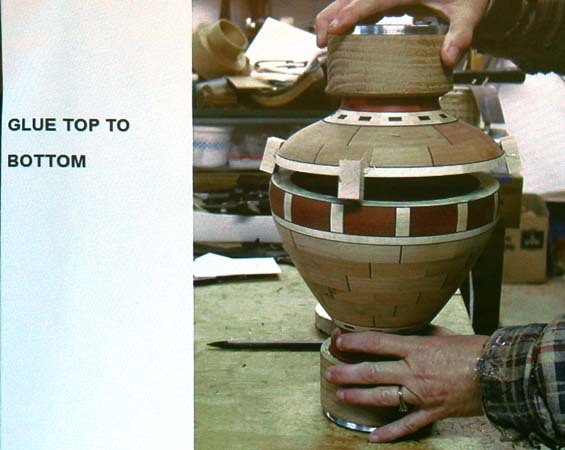 These steps seemed very clear when presented by Linda and supported by her slides, sample bowls, and her handouts. Throughout the presentation, Linda passed around her bowls. Her PowerPoint slides were clear, animated, and well labeled. Every step was documented with the slides as well as the various handouts that Linda provided. If you were unable to attend this demo, be sure to get copies of the steps and a CD of all her slides from the club librarian. 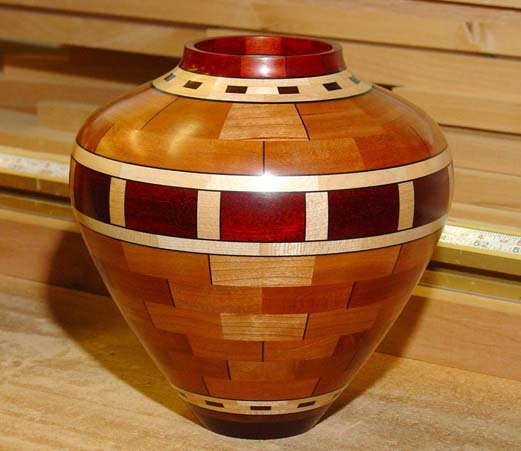 Due to the many steps in making a segmented bowl, writing out my notes would be repetitive of her handouts and very time consuming. If you are interested in creating segmented bowls like hers or attempting a design of your own, it would be best to review all the information available from the demo, and then contact Linda Salter at (650) 365-4093 orLindasalter@comcast.net to schedule one of her 5-day workshops. 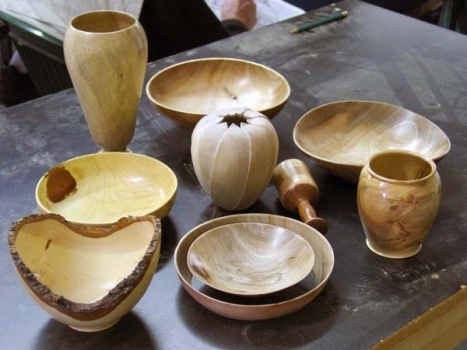 At her workshops, Linda believes that every bowl should be truly yours, so she creates her own while you create yours. She is there for every step, but at the end you can say that you did all the work yourself!